1 Models in Utrecht, Netherlands, wear floral arrangements as they interact with travelers to promote Keukenhof, the largest flower show in the world. 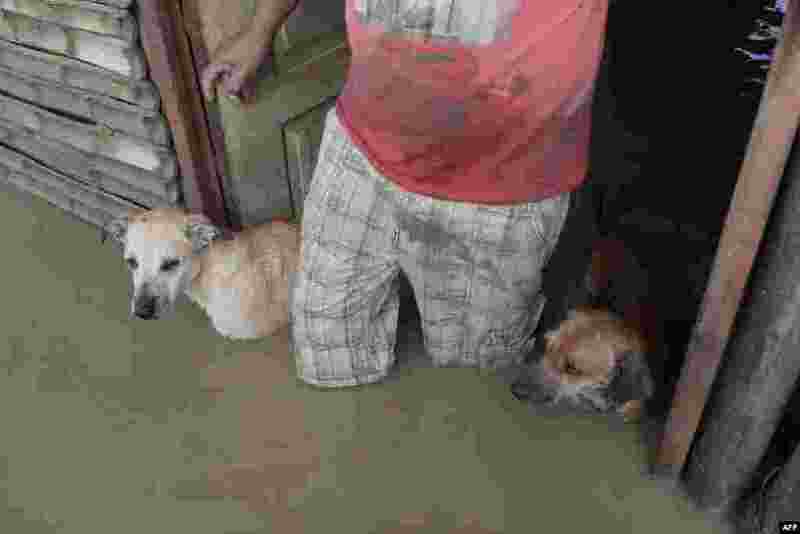 2 A local resident and his dogs stand in the doorway of their flooded home in Piura, northern Peru on March 28, 2017. 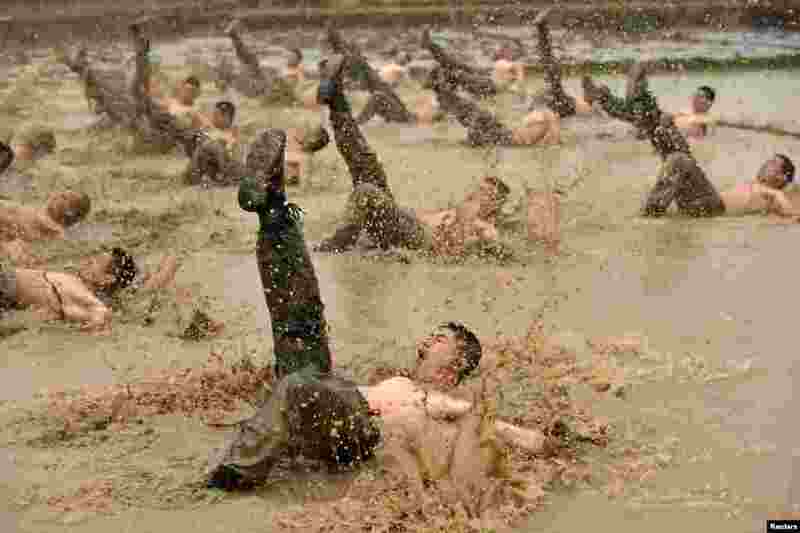 3 Paramilitary policemen attend a training session in Guigang, Guangxi Zhuang Autonomous Region, China. 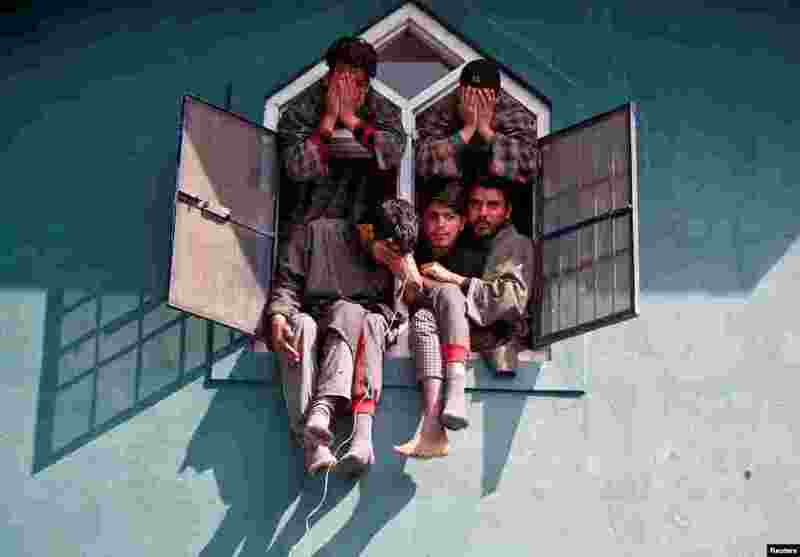 4 People sit in a mosque window during the funeral of Tauseef Ahmad Wagay, a suspected militant, who local media say was killed in a gun battle with the Indian army Tuesday in south Kashmir’s Kulgam district.